WHAT’S UP, LOVES!!! 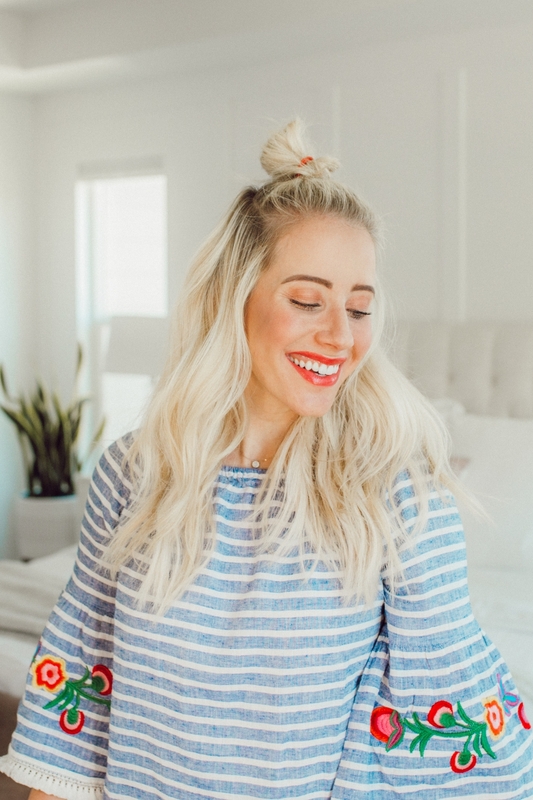 It’s gettin’ HOT here in Utah and I haven’t done a summer hairstyle video yet so that’s what imma be doin’ today! 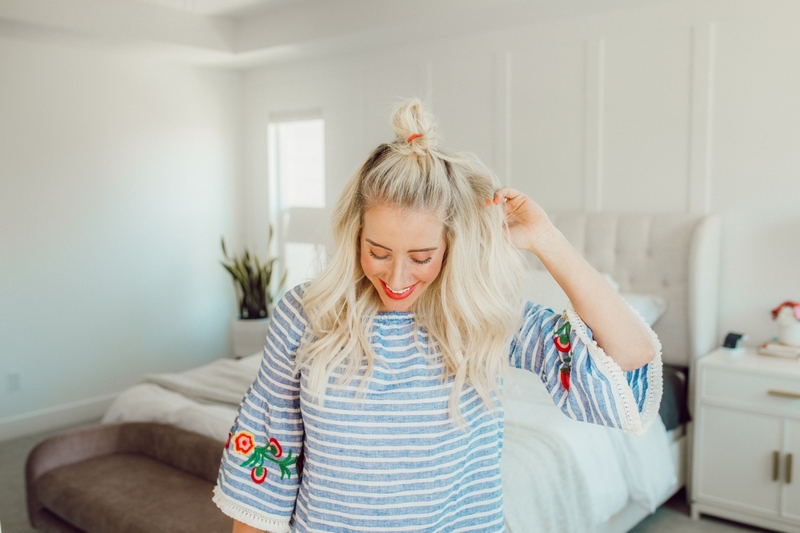 I’ve rounded up my FIVE favorite summer hairstyles that’ll help you beat the heat and I hope you love them all just as much as I do!! 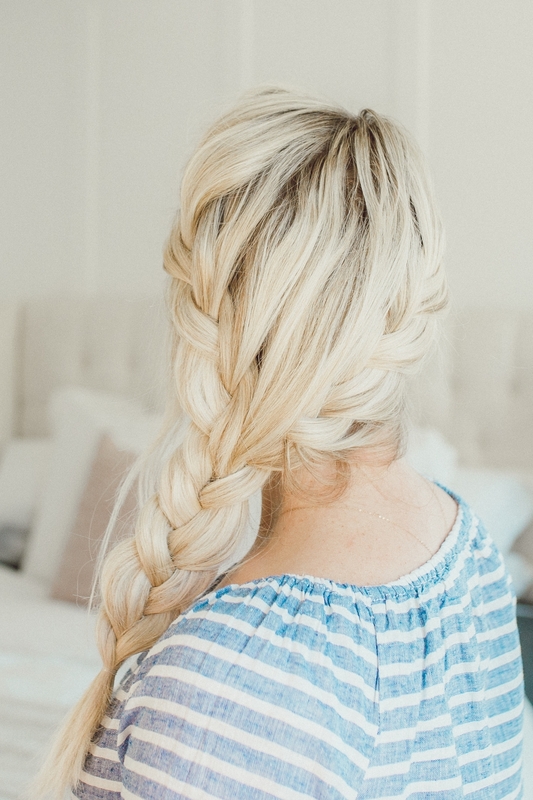 I want to remind you that our Learn How To Braid Challenge starts NEXT WEEK!!!! 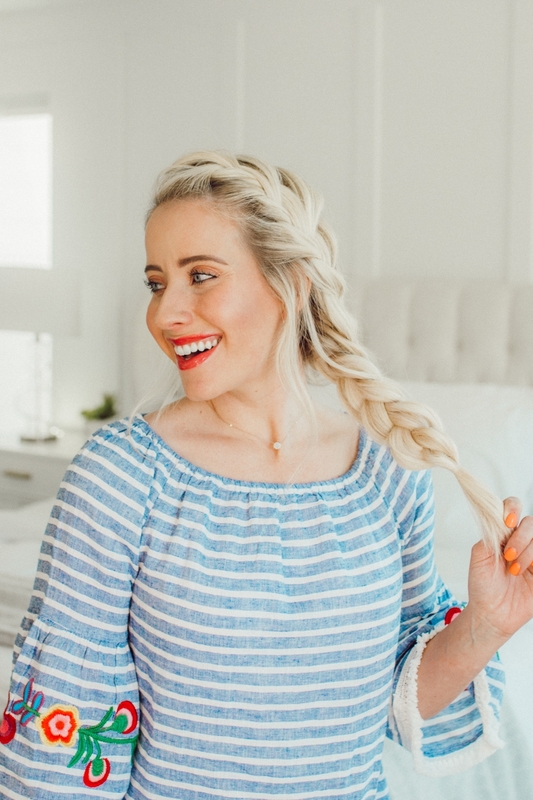 I’ve worked SO hard on it and I’m so dang excited to start learning these braids with you! Because it has been such an intense labor of love, I’m not sure how long this challenge will stay free. I’ll update you on that but right now it is completely 100% FREE so you have no excuse not to do it with us!! What it is? 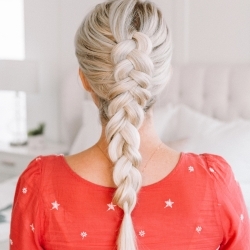 It’s a challenge designed to teach you how to braid. 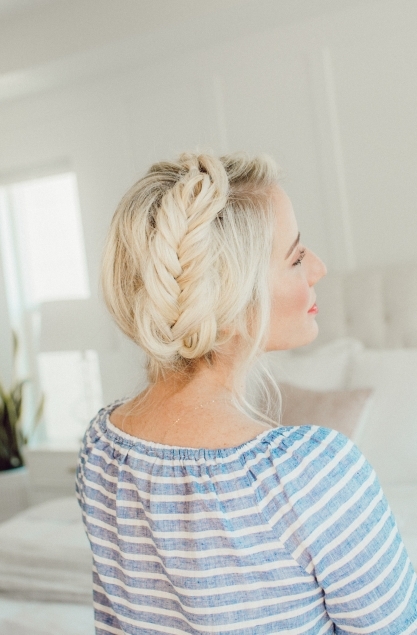 The first week we’re doing french braids, as that’s your most basic braid. 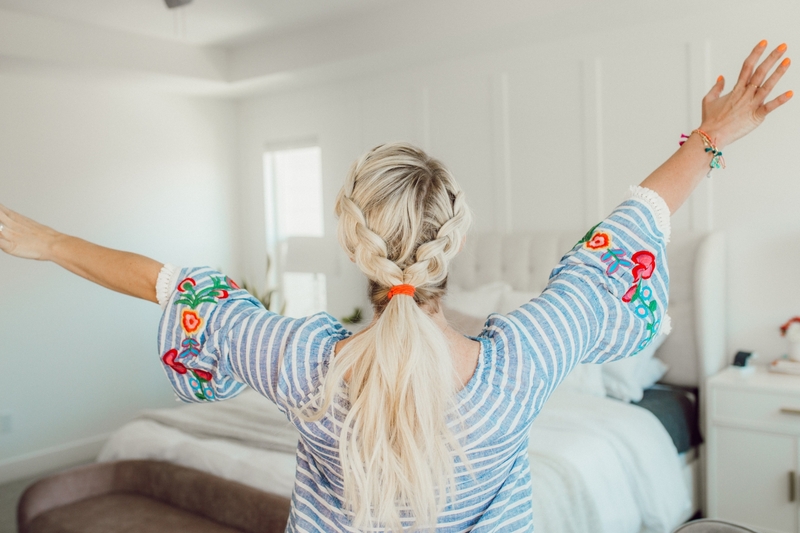 And each day throughout that week we will practice our skills and do a different french braided hairstyle — together. 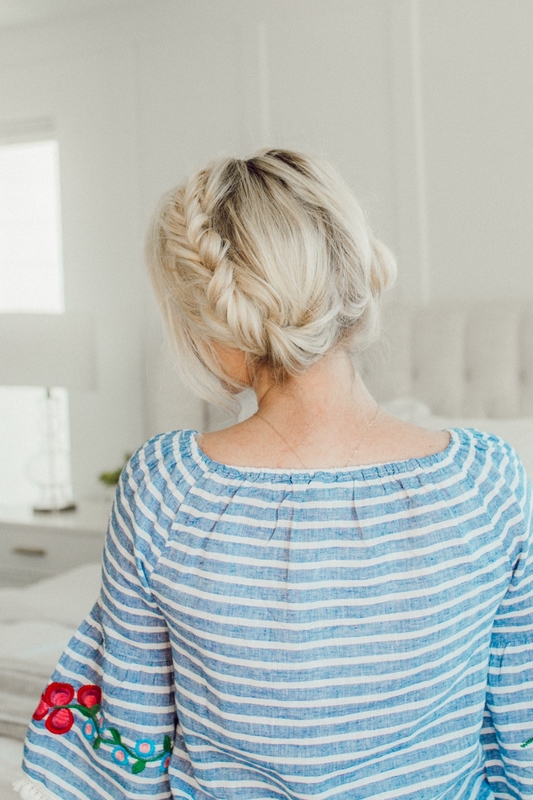 If you already know how to braid — do it with us anyway! 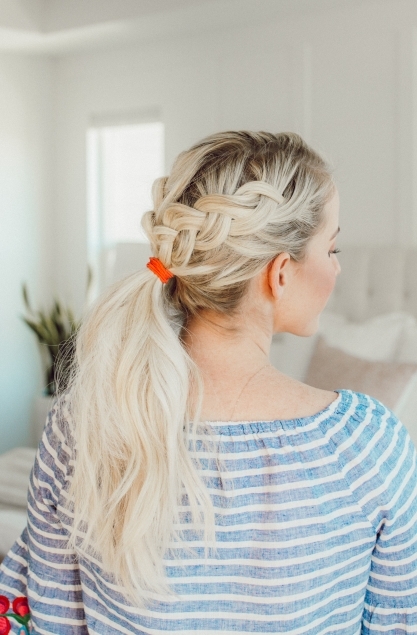 It’ll be a great chance to get out of that ponytail rut!!! 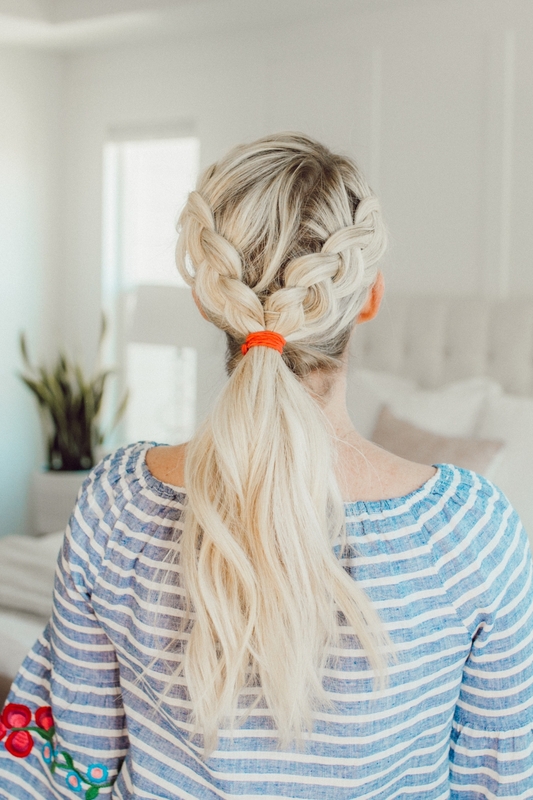 Plus this challenge is going to build on itself so the second week we’ll learn dutch braids, then fishtail braids and we’ll finish the challenge off with waterfall braids. I’m honestly SO excited!!! 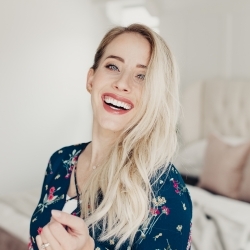 The night before I will email you the hairstyle + tutorial we’ll be doing so you can practice it a little bit before or if you have an early morning you’ll know what we’re workin’ on!!! In order for me to email you — you guessed it — I need your email address. So enter your info in the widget below or click HERE and sign up for it!!! I swear I won’t be spamming you, it’s all going to be super helpful info that’ll hopefully add value to your life! 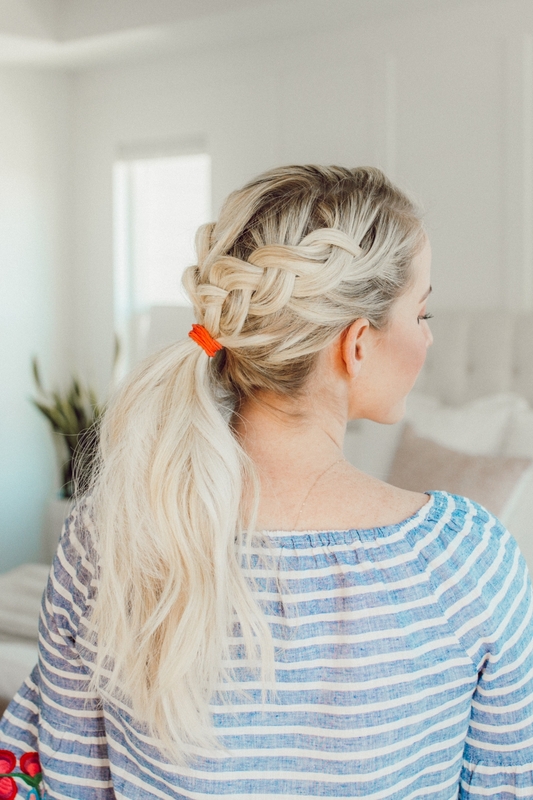 Hairstyle #1 – Dutch Braided Ponytail: This is one of my absolute favorite braids. I’ve worn this more times than I can count!! It gets the hair off my neck but still looks so pretty!! 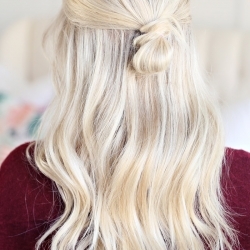 Hairstyle #2 – Half Up Top Knot: I am such a sucker for this hairstyle. 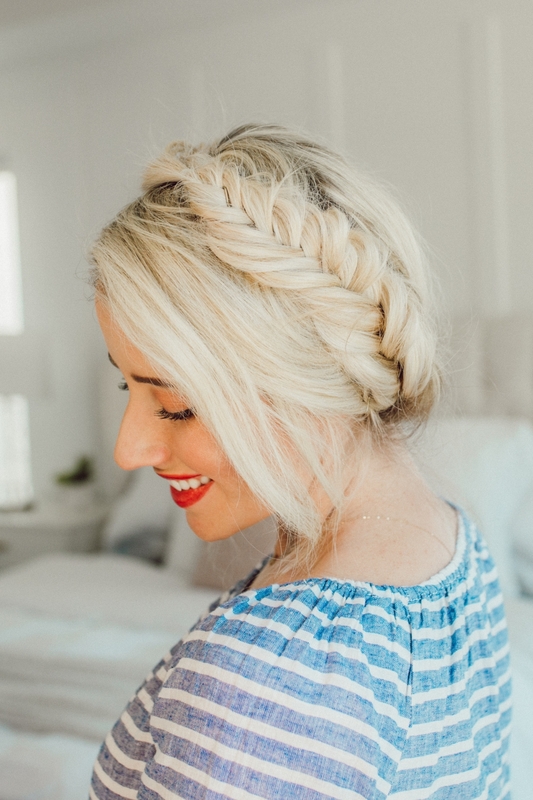 I know the hair isn’t off the neck, but tying those top layers up just gets the hair out of your face and it lifts and adds volume. You know when you’re hair just looks limp and blah? 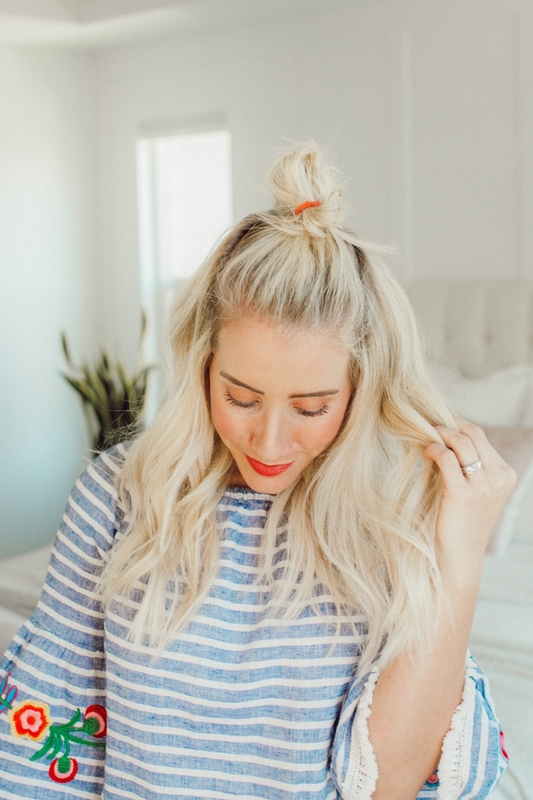 You need a half up top knot! 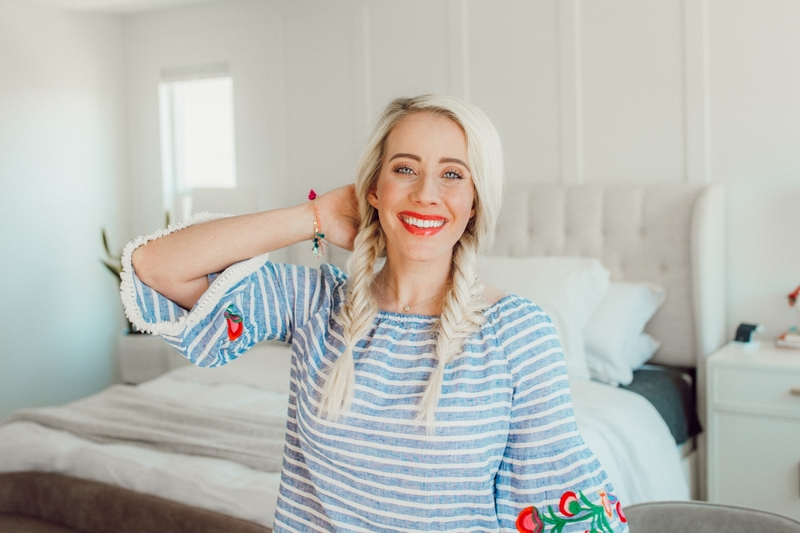 Hairstyle #3 – Fishtail Pigtails!!! My favorite way to wear this style is with a baseball cap. Baseball caps are MY JAM in the summer! 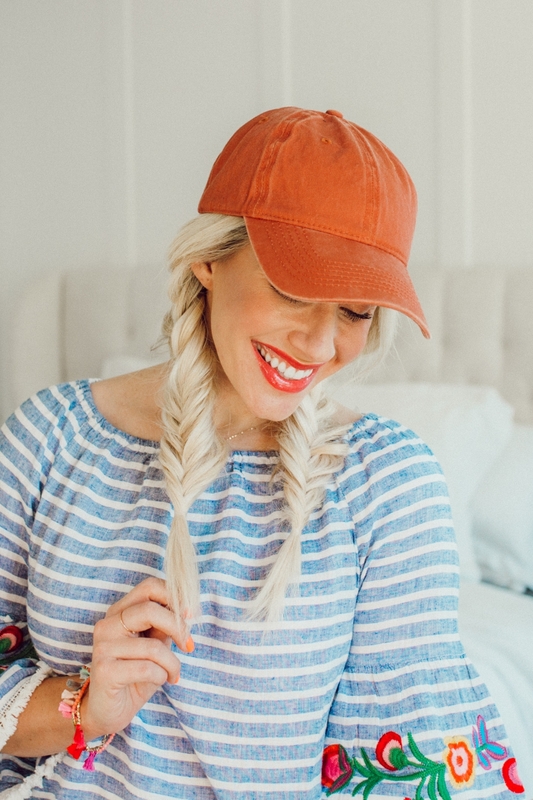 I made a tutorial last summer of my favorite SEVEN ways to wear my hair with a baseball hat so make sure to check that out here!! This hat is from Gigi Pip! It’s a little old but this one here is similar! 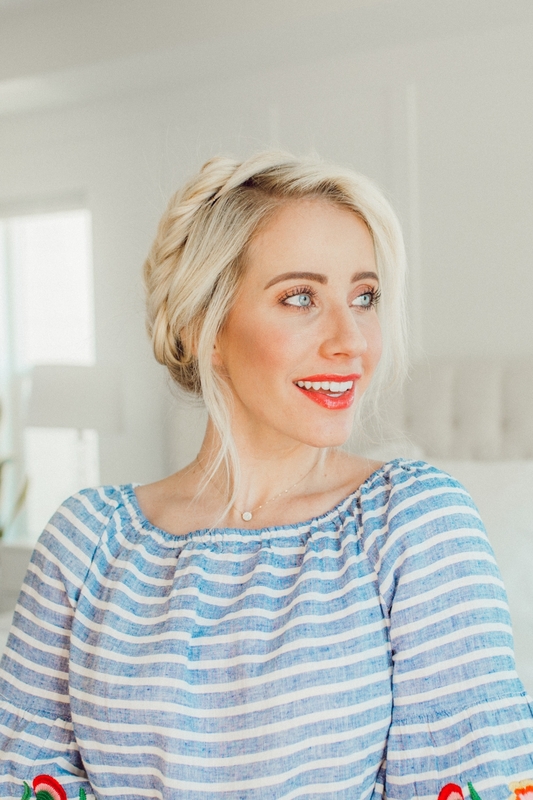 Hairstyle #4 – Fishtail Milk Maid Braids: Every since I shared this tutorial here I’ve just been a sucker for milk maid braids! I’ve been wearing them a bunch and thought styling them with fishtail braids would be so cute. I was right! Do you love them?! 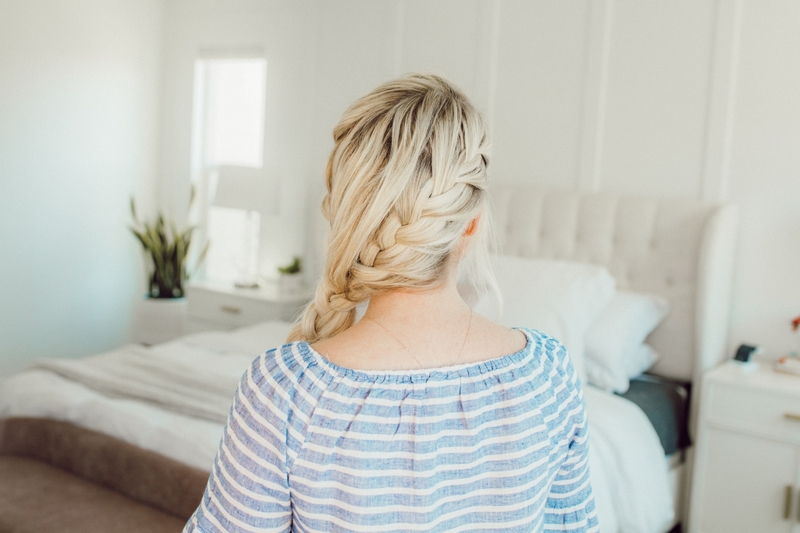 Hairstyle #5 – Mixed French Braids: I shared this tutorial a few weeks ago and it’s just become one of my favorites. It’s honestly really easy and quick to do even though it looks intense, it gets my hair off my neck but I still feel so pretty wearing it! You know those hairstyles that you just feel pretty it? This is one for me! WHOA – that’s a lotta hairstyles. I hope you guys love this video and I just want to say real quick — thanks for reading and commenting and liking my content and just being such awesome friends to me. 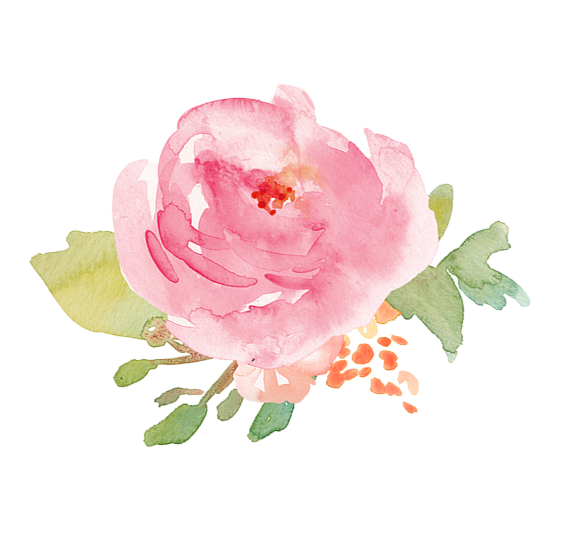 I feel so lucky and blessed to have such an awesome group of women behind me and I want you to know that I don’t take that lightly. You guys inspire me every day to put my best foot forward!! 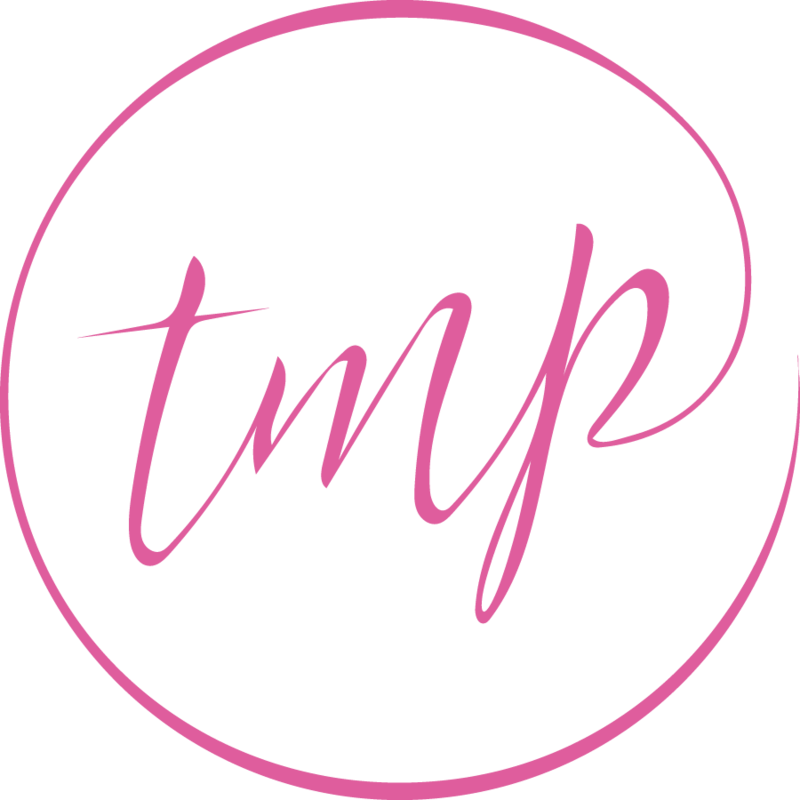 Don’t forget to sign up for the newsletter, the #30in30twistmepretty challenge starts NEXT WEEK! 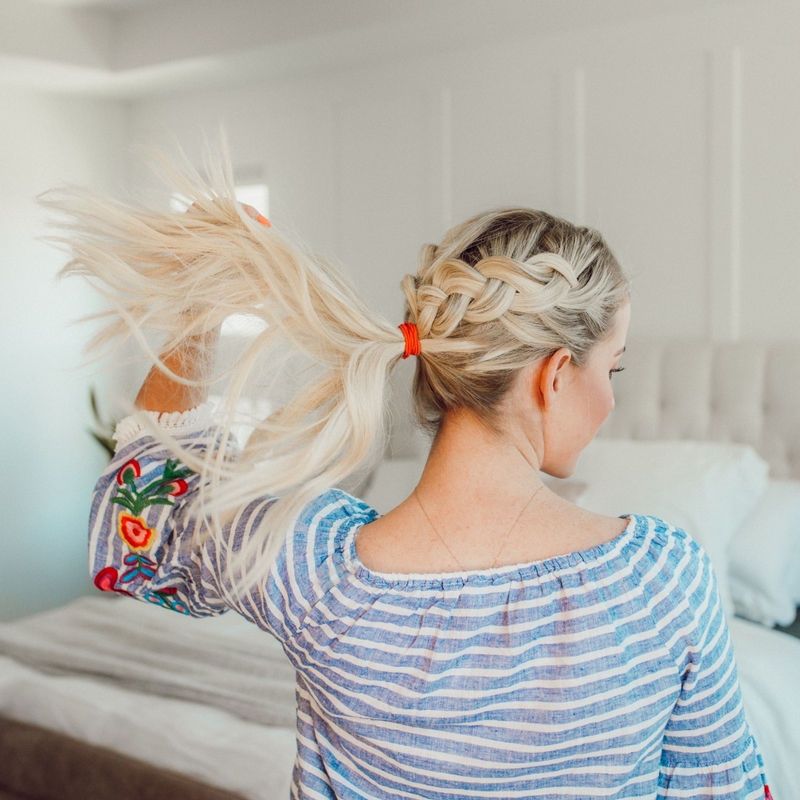 Learn How To French Braid + Challenge Begins!